For the latest news and analysis of the Janus case, sign up for The 74’s newsletter. Janus v. the American Federation of State, County, and Municipal Employees. It’s the case that had the education community fixated on the Supreme Court for months, wondering how a ruling for the plaintiff could impact the nation’s teachers unions. It arrived on the last day of the court’s 2017 session with a 5-4 decision finding for Mark Janus, an Illinois state worker who argued that it violates the First Amendment to require public-sector employees to pay union dues — even to help fund collective bargaining and other shared benefits — when they disagree with their union’s positions. In another potential game-changer, the majority also ruled that members now have to affirmatively opt into the union, unlike past practice where dissenting members were required to opt out. We’ve been tracking the case for the better part of a year now and have published more than a dozen primers on the key issues involved — and the potential implications for public employees. 1. 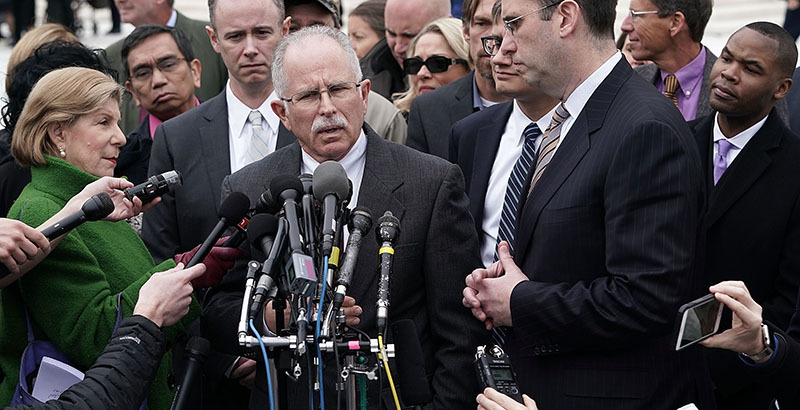 The Plaintiff — “Korman: Mark Janus Never Sued Anyone, So How Did He Become the Face of the Year’s Biggest Court Case Involving Unions?” Read the full analysis. 2. 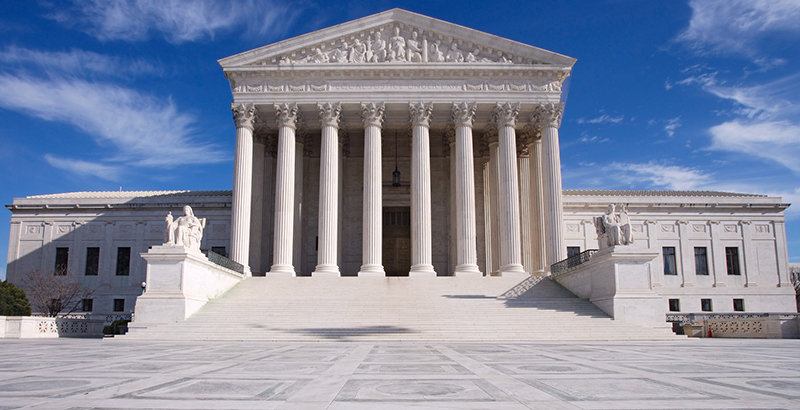 The Facts — “Janus v. AFSCME: 5 Things to Know About the Latest Union Dues Case Headed to the High Court.” Read the full analysis. 3. The Arguments — “Supreme Court Transcript: Read Monday’s Complete Janus v. AFSCME Arguments at the High Court.” Read the full transcript. 4. The Counterpoint — “Analysis: Teachers Unions Will Argue in Court That ‘Agency Fees’ Don’t Fund Political Activities. But They’re Saying Something Different to Members.” Read the full report. 5. 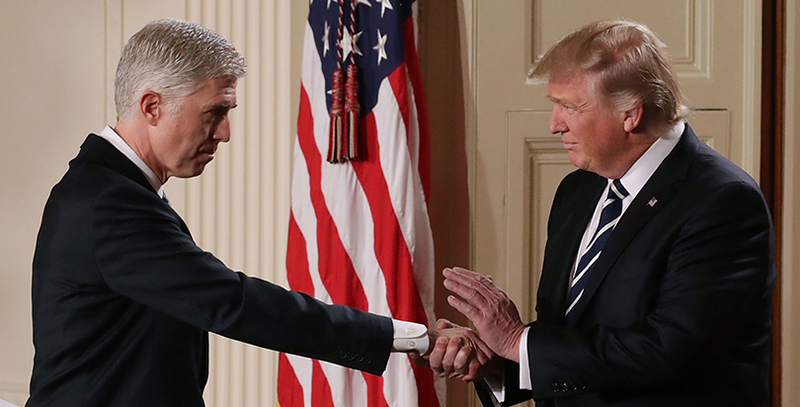 The New Justice — “What SCOTUS Nominee Neil Gorsuch’s Past Rulings on Education Cases Could Mean on the High Court.” Read the full analysis. 6. The Labor Landscape — “Labor in the Age of Janus: 6 Things to Keep in Mind About American Unions on the Eve of a Pivotal Supreme Court Ruling.” Read the full report. 7. Public Opinion — “Exclusive: Poll Shows Nearly Two-Thirds of Americans Would Support Supreme Court Striking Down Mandatory Union Dues in Janus Case; Majority of Union Households Agree.” Read the complete findings. 8. The Political Stakes — “Bradford: Could the Supreme Court’s New Union Dues Case Liberate Reform-Minded Democrats to Do What’s Right for Kids?” Read the full column. 9. The Financial Stakes — “Exclusive: Ahead of a Key Supreme Court Decision, America’s Largest Teachers Union Slashes Budget by $50 Million, Projects That 300,000 Members May Leave.” Read the full report. 10. The Membership Stakes — “Analysis: How Will a Janus Ruling Impact Teachers and Unions in Each State? Data & Interactive Maps Tell the Story.” Read the full analysis. 11. Is the Future of Labor Local? — “If Janus Ruling Means Teachers No Longer Have to Join Unions, Will Breaking Away From State and National Affiliates Be a Way to Save Local Membership?” Read the full article. 12. Will Unions Have to Compete for Members? — “Analysis: Janus Ruling Could Force Unions to Compete for Members.” Read the full analysis. 13. After Union Dues, a Fight Over Collective Bargaining? — “It’s Not Just Union Dues, It’s Collective Bargaining: Looking to States That Banned Them as Post-Janus Crystal Ball.” Read the full analysis. 14. After Janus, the Next Court Case — “After Janus, Another Key Lawsuit Targeting Unions: How California’s Yohn Case Targets Opt-Out Rules.” Read the full report. Go Deeper: For the latest news and analysis of the Janus case, sign up for The 74’s newsletter.